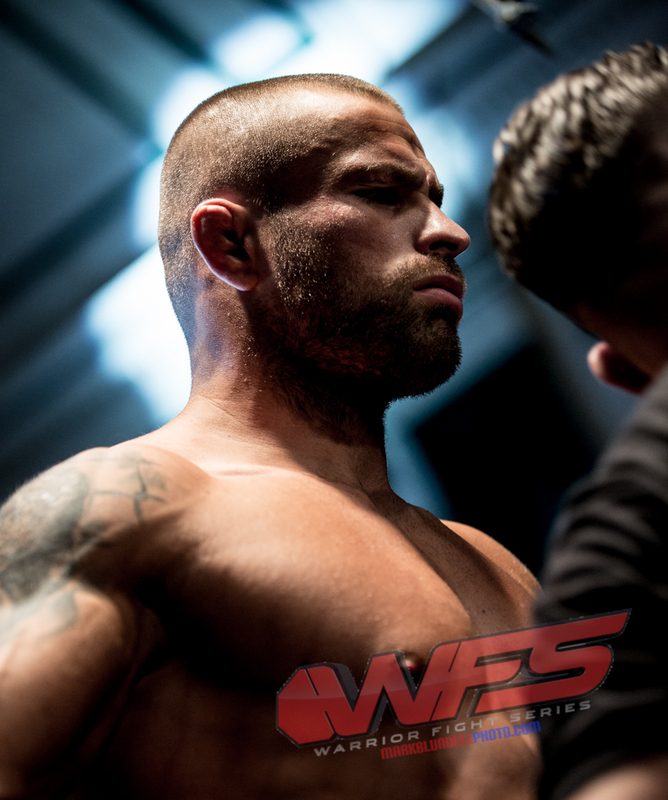 Warrior Fight Series 4 took place at London’s York Hall last weekend, a stacked card with two mouthwatering main event bouts that were expected to bring fireworks. 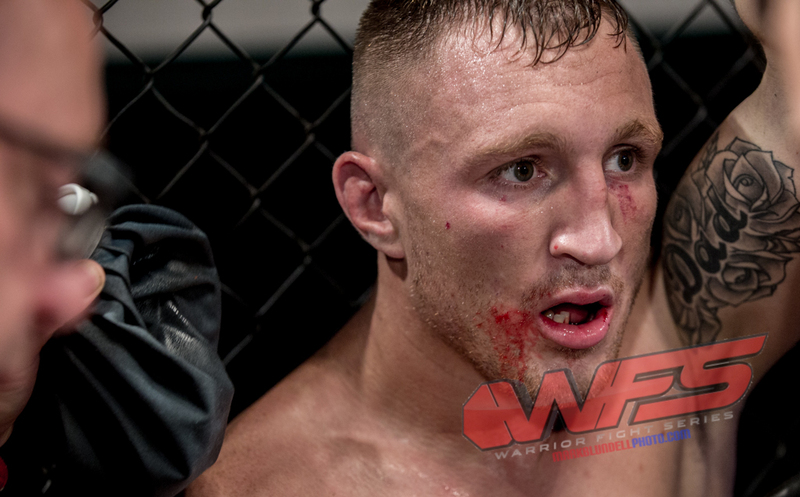 Jack Hermansson vs. Karlos Vemola were set to battle it out for the Warrior Fight Series Middleweight Championship with Jefferson George defending his title against Brad Wheeler. Harry Shoebridge now on his fifth solo outing as a promoter managed to put on another excellent show from top to bottom, great matching together with a lively audience. 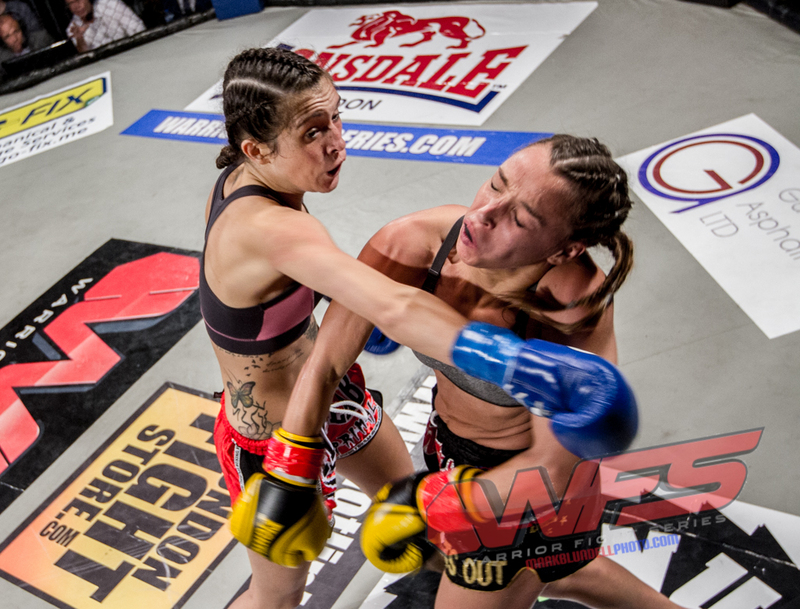 The event got off to a great start with amateur bouts and an epic K1 fight between Mina Lamoure and Yasmin Nazary, the bout went the distance with a draw announced from the judges. As always the event was well attended with York Hall being full with fans, its an excellent venue and although relatively small everyone can see, the balcony allowing for a grandstand view form the cheap seats. The co-main event at Warrior Fight Series 5 with Brad Wheeler coming out to a rapturous crowd, it was alleged that the former Cage Warriors fighter had brought 120 fans with him. The bout got under way with Wheeler taking the upper have, however Jefferson George managed to hold his own and landed several solid punches, one of which it later transpired had knocked out at least one tooth and broke his jaw. The fight was brought to a standstill midway through as a scuffle broke out in the crowd. In over fifty events I think this is only the third time I’ve seen a disturbance, it’s a very unusual occurrence. Referee David Swan got proceedings back under way and the fight was off again. To be honest, I felt what had previously been an excellent bout had some of the wind taken out of its sails. The end result was that George handed his belt to Wheeler on the judges decision. Fianlly time for the main event – Jack Hermansson vs. Karlos Vemola This was a fight that many MMA fane in the UK had been waiting for. Having shot both fighters the previous day I can certainly say that Vemola was looking the scariest, Hermansson, looked cool and relaxed, their two bodies polar opposites, Karlos, shorter and thick, cut and muscular, Jack on the other hand far taller and slimmer. As it was the fight was over in just under 2.30 of the first round. Vemola caught in an arm bar after a takedown attempt and getting slammed onto the canvas. Jack ‘the Joker’ broke Vemola’s arm during the hyper extension. Al in all it was a great evening, the crowd were lively, and for me as a regular on the circuit it was great to catch up with friends I see irregularly. Photographically I can’t really complain – great venue and decent lighting.